When I plan a trip I don’t plan all the way down to the nitty gritty details but I like to have a loose sketch of my trip put together. It keeps me calm and helps me stay focused on enjoying myself. One aspect that has always pumped up my stress though is transportation… How to get around once I’m in a new place. Whether it’s navigating a city or getting from point a to point b, waiting til the last minute to figure it out makes me nervous. A great way to get around when you have a big group is a minibus. In the UK it is not hard to find cheap minibus insurance. There are always resources online for reading up on these things but I’ve yet to find a comprehensive guide explaining how to get around a region of the world (let me know if I’m missing one that’s already out there). In the mean time I thought it would be a good idea to share what I learned in my two months in Southeast Asia before I forget. Overall, getting around was cheap and easy even if left until the day of travel. There were always plenty of options for city to city travel and only the smallest towns we visited like Pai and Koh Phi Phi were without public transportation. Flying is by far the fastest way to get long distances but also the most expensive. For example traveling to Bangkok Phuket, since the distance between the two cities is the longest flying is the quickest option. We know that. We also know waiting around an airport can sometimes take forever. That being said, it was necessary to fly when I was moving through cities in a short period of time. But since SE Asia is a fairly small region I opted for cheaper means of travel when possible. Flying made the most sense for me when I was entering a new country and didn’t want the hassle of crossing the border on land. Trains in Thailand were great! We really loved the overnight train from Bangkok to Chiang Mai (other than one freak experience when the power went out) because even at nearly 1000 THB (roughly $30) it is much less expensive than flying, fairly fast and saves you a night’s worth of accommodation. We purchased 2nd class air-con sleeper beds all three times we rode. You depart in the early evening and are woken up around 6 AM when you reach city limits. When we took the sleeper train from Vientiane to Bangkok a minibus took us to the Laos border where we passed through on a commuter train that shuttled us to the Thai border. 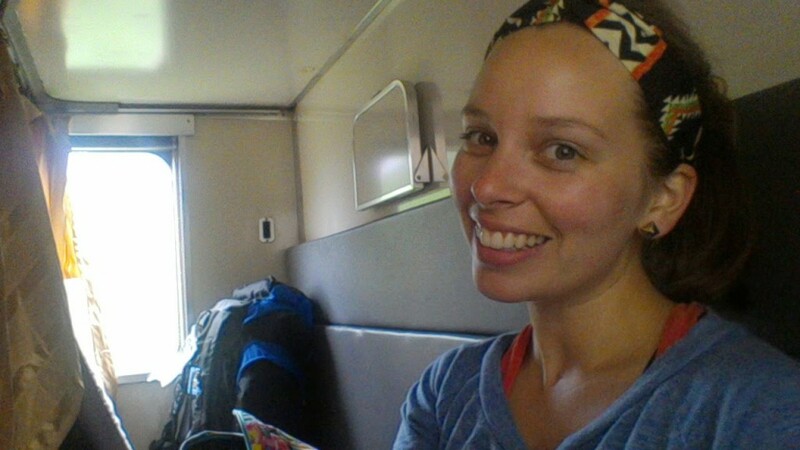 After entering Thailand we were boarded onto the sleeper train, and thought the whole thing was fairly easy. The first two times we purchased our tickets in the morning at the station, stored our backpacks at “left baggage” and then returned in the evening when it was time to board. But the third time we had a change of plans last minute and ended up booking our tickets through a roadside tourism shop (they’re everywhere) in Vientiane and were shortly thereafter picked up and transported to the Laos border. We never had trouble getting to the train stations, we simply hailed a taxi and asked for the train station (although in Bangkok it is known as Hualamphong Station). Once you get there just ask at one of the counters for your desired destination and they will redirect you to the correct counter. Commuter trains and a metro system are available within Bangkok. From the train station we were able to purchase tickets for the commuter train to Don Muang airport (DMK) for dirt cheap and from our hostel in Siam Square we used the BTS metro system and transfered onto the Suvarnabhumi Airport Rail Link. In both cases, taking the train was much cheaper than taking a taxi. We were able to purchase tickets for both journeys on the spot without a long wait time. SE Asia seems to offer two types of bus experiences when you are transiting from one city to another. First they have the “VIP bus” which is a called a coach bus in the US. Seats are individual and rather roomy, sometimes covered in a tacky plush cover. Luggage is stored below (please remove your valuables or they will for you…) and there are generally two levels of seating. 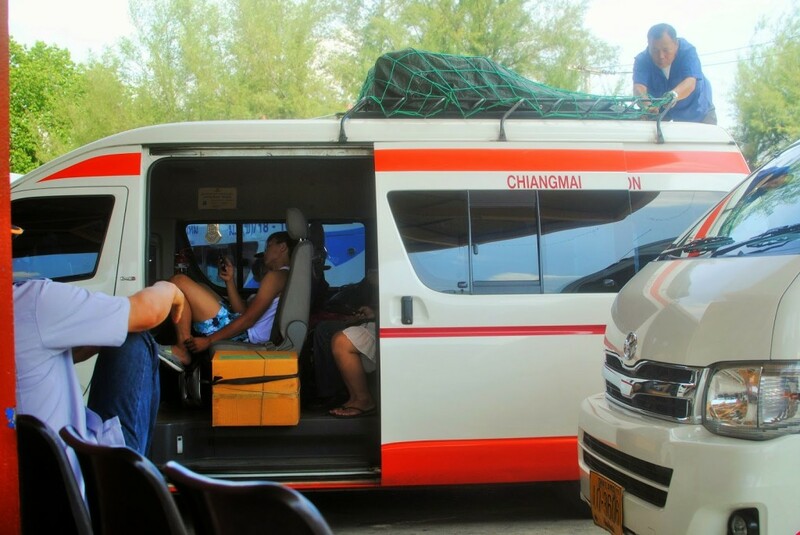 We took this type of bus from the airport in Suratthani to the ferry port, from Krabi to Bangkok, from Bangkok to Siem Reap and from Vang Vieng to Vientiane. Our bus from Krabi to Bangkok was an overnight VIP bus (which we specifically asked for) so the seats reclined and we were able to sleep. Our bus from Bangkok to Siem Reap was booked at the main bus station in Bangkok and we had to very explicitly ask for a direct ticket so that the bus would wait for us at the Cambodian border while we went through the visa on arrival process. Indirect tickets provide you with a bus ride to the border and if you do not already have a visa you will miss the second leg of your journey on another bus from Poipet (the border) to Siem Reap. Minibuses are a glorified name for minivans. They sit slam in anywhere from 8-12+ people on benches, foldout seats or any other flat surface available (kidding.. kind of..). Luggage is tied down on the roofof the van under a tarp. Sometimes cheaper than VIP buses, the minibuses can also be faster than their larger counterparts because they are better at navigating the winding roads in mountainous regions. 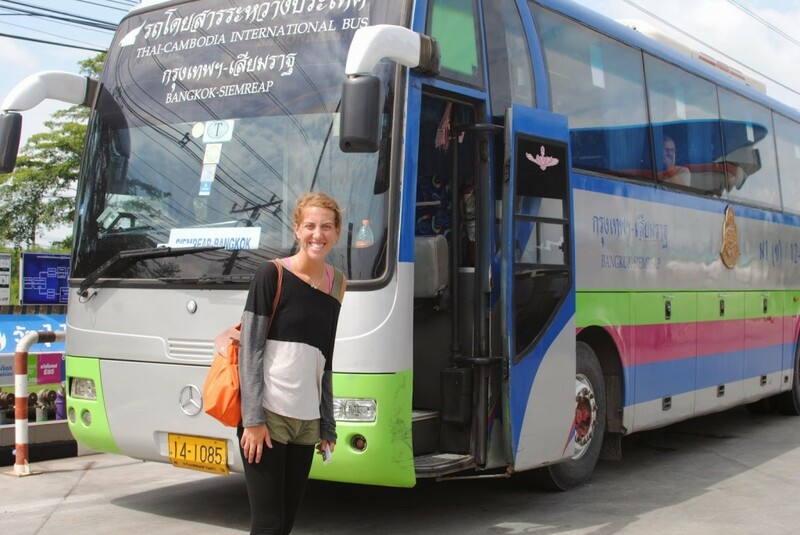 We took minibuses from Chiang Mai to Pai, from Luang Prabang to Vang Vieng, and from our hostels to many day tours. Just imagine sitting shoulder to shoulder with a car load of people as you simultaneously slide back in forth (how is that even possible when your stuffed like sardines?) and jerk forward when the driver brakes for a stray herd of cattle. Sleep is not an option unless you are significantly friendly with your neighbors. All of our buses (except Bangkok to Siem Reap) were booked through roadside tourism shops. These shops are hard to miss and can be found on every block or right along the reception at many hostels. They keep the bus schedule and will also set up a transfer from your hostel to the bus station for little to no extra fee. We would book our bus tickets in the morning or the night before travel when we conveniently found ourselves walking by a shop. Buses are usually the cheapest way to go and are a great way to meet and make friends since you will be slammed in together for quite awhile. 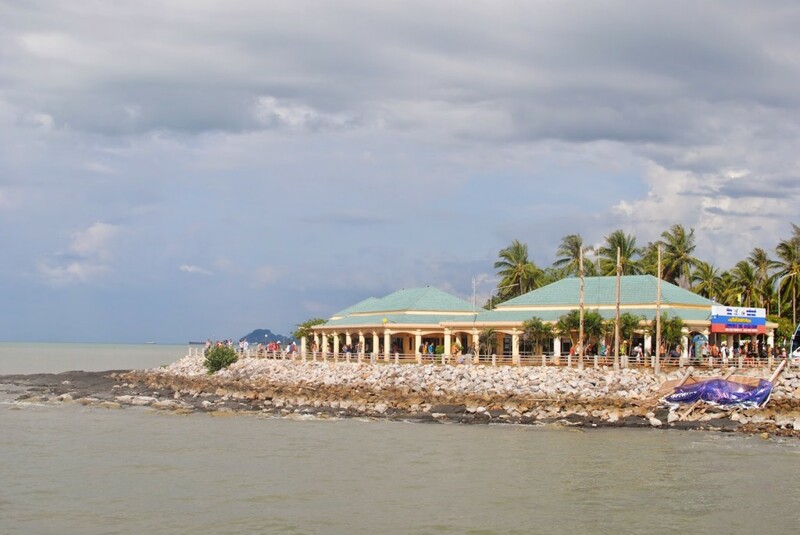 When traveling in the south of Thailand between the islands you will have to take the ferries. Lomprayah is the major service operating in the east Thai islands. We first discovered this when a ferry ticket was included in a flight we purchased through Nok Air. If you are not flying directly onto one of the islands, you are likely landing in Suratthani and will be transfered by bus to the port. We booked our other ferry tickets through random tourism shops near our hostels. The ferries run on fixed daily schedules and as long as you can say your destination their are workers posted around the piers to point you in the correct direction whether it is onto a boat or to a bus transfer. They use color coded stickers that you wear on your shirt so language barriers aren’t an issue. Look for the pick up trucks with benches in back and a roof overhead. These fun communal taxis can save you money when you’re traveling in a group or heading in the same direction as strangers. Even with two of us, songthaews were sometimes cheaper than a tuktuk. We often found ourselves taking these from train stations and on the islands. 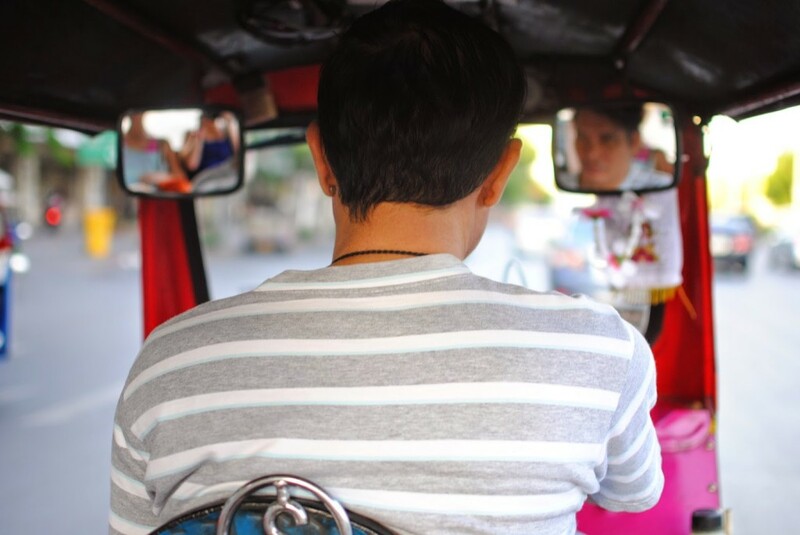 Tuk tuks are motorbikes with a passenger carriage hitched on the back. They might not be like the kind of “bikers” you are used to at home, who will more likely have iron on patches at The Cheap Place website rather than a little roof for their motorbike! 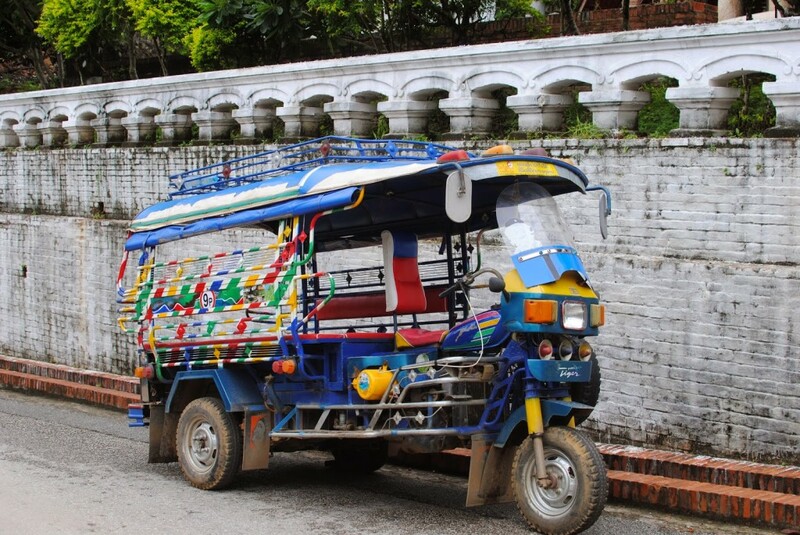 They are kind of like SE Asia’s version of a Cinderella carriage (at least I like the think)! 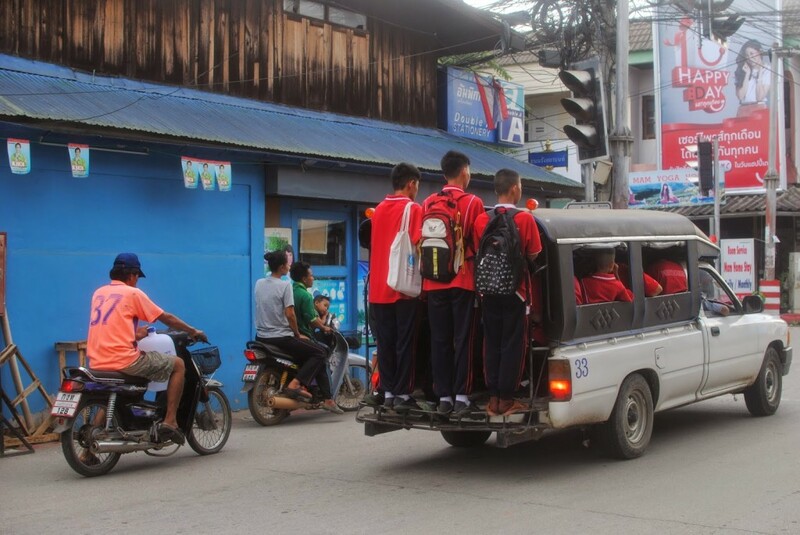 While this was the main form of transportation in some places like Siem Reap and Chiang Mai’s old city, it is a tourist trap in other places like Bangkok where you will get a much lower fare riding in a metered taxi. In major tourist areas, it is not too surprising that the locals try to charge overprice. The general rule though is that you won’t know until you ask or “never try, never know” as one salesman on Khao San once told me. Ask around and after awhile you will figure out if they are charging you a normal rate. And since they do not run on meters you are allowed to negotiate a price. In Bangkok, they are bright pink.. and orange and yellow and green and blue. 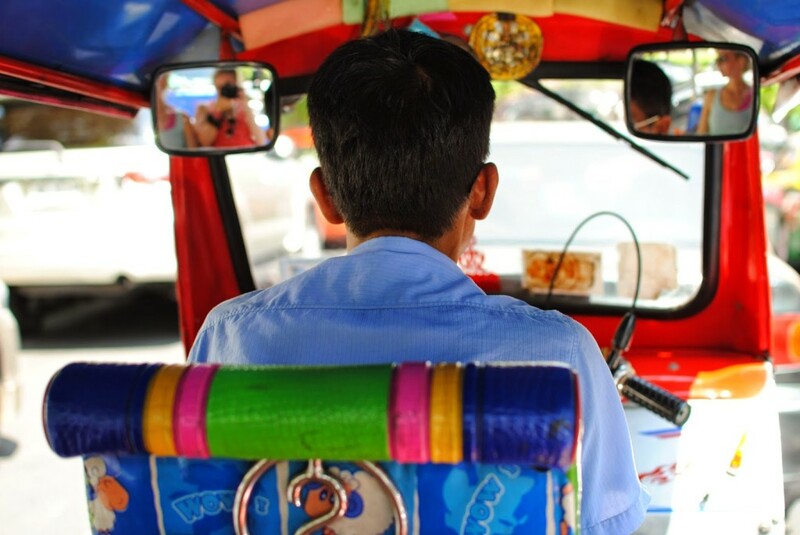 The streets of Bangkok are lined with colorful metered taxis and as long as you have an honest driver or aren’t too close to a tourist hub (read Khao San) you can hop right in and they will turn the meter on. 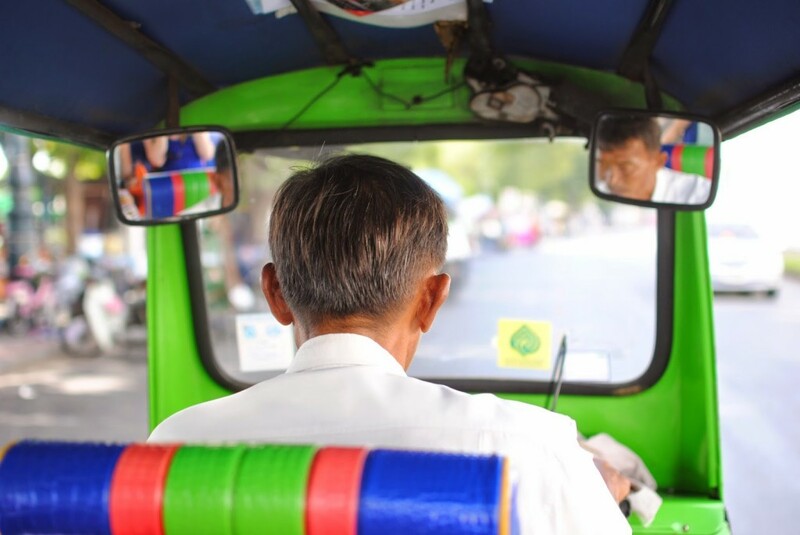 Because the rates are so low, many taxi drivers looking to make a quick buck will sit around areas like Khao San Road, hassle tourists and demand a set fee saying things like “so far, too much traffic” when you ask for the meter or try to negotiate the price. Ignore them and move on. We only had to walk 2 minutes from Khao San before we found someone who would turn on the meter. Without the meter they tried to charge us anywhere from 250-500 THB to get to Siam Square when we knew that the metered rate was less than 100 THB. 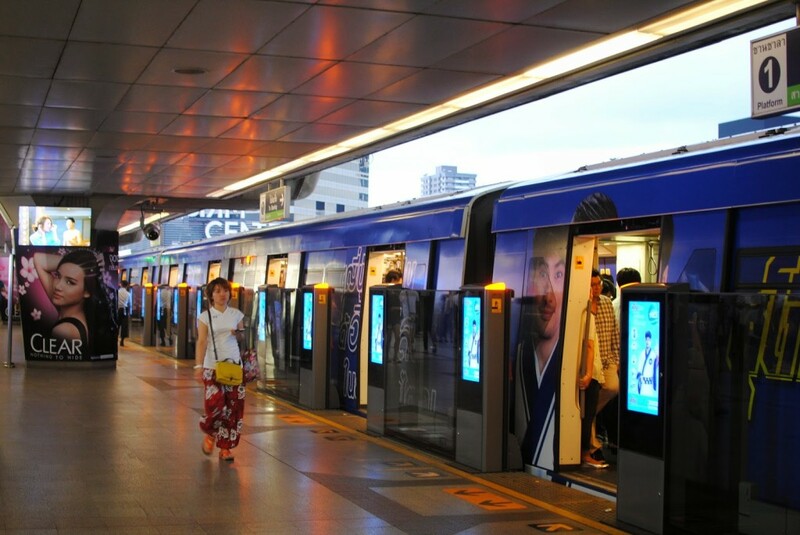 The Bangkok metro system is fast, cheap and clean. Oh and it’s easy to navigate too. Am I selling it yet? Once you get out of tourist trap central and try out other parts of Bangkok it becomes an amazing mode of transportation. When we stayed in Siam Square the last week of our trip, we wandered up into the station (we stayed at the National Stadium stop) to give it a try. Just make sure to look up the closest station to your destination beforehand. We took the BTS to the Chatachuk Market, Sukhumvit, Asiatique and the airport. These boats are generally part of a day trip that you can book through a local tourism shop. 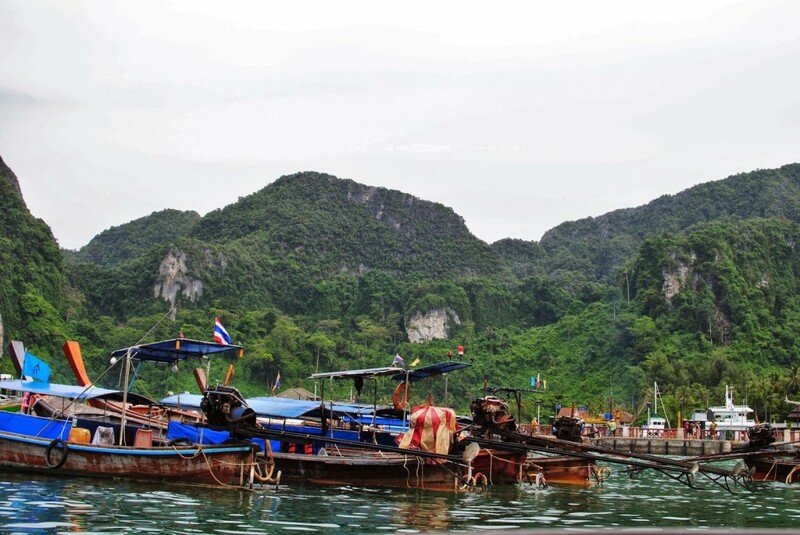 We did a number of longtail boat tours in Thailand in order to reach small islands like James Bond Island and Maya Bay. Our snorkeling trip in Koh Phi Phi was on a longboat. The slow boats in Laos do not go out on open water because you won’t be around open water. Instead they navigate the Mekong and other rivers connecting the cities of Laos. We took a slow boat to see the Buddha Caves north of Luang Prabang. These boats make for a fun day trip but are not a very fast mode of transportation. Ride at your own risk. 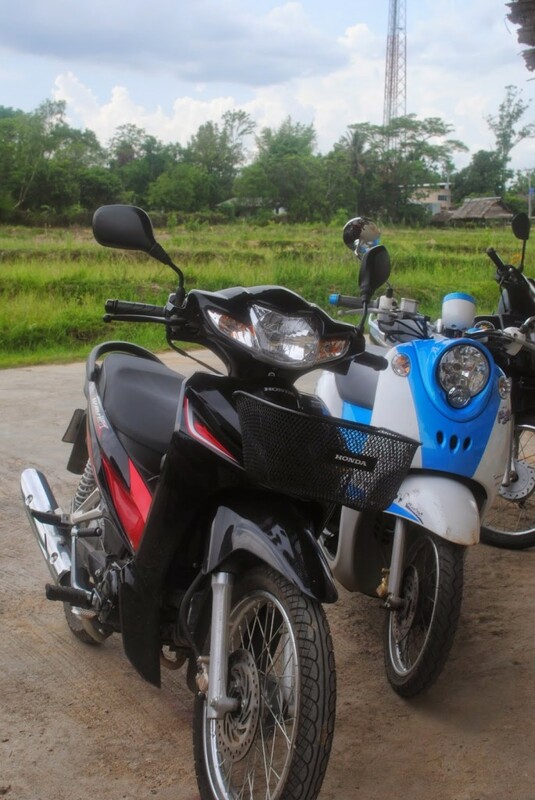 Motorbikes can be a lot of fun and are a cheap way to explore SE Asia, just make sure you know what you are doing. Many cities are teeming with traffic, while the smaller towns feature dangerously winding roads. Shops in town will rent out motorbikes for a daily rate (or longer I’m sure) but make sure to take pictures so they can’t charge you for damage that was already there when you return the bike. We had loads of fun riding on the back of motorbikes around Pai, but one friend Elen had a particularly nerve-racking journey when she decided to learn how to drive one herself on the way back to Chiang Mai. Have any questions for me? I’d be happy to help! 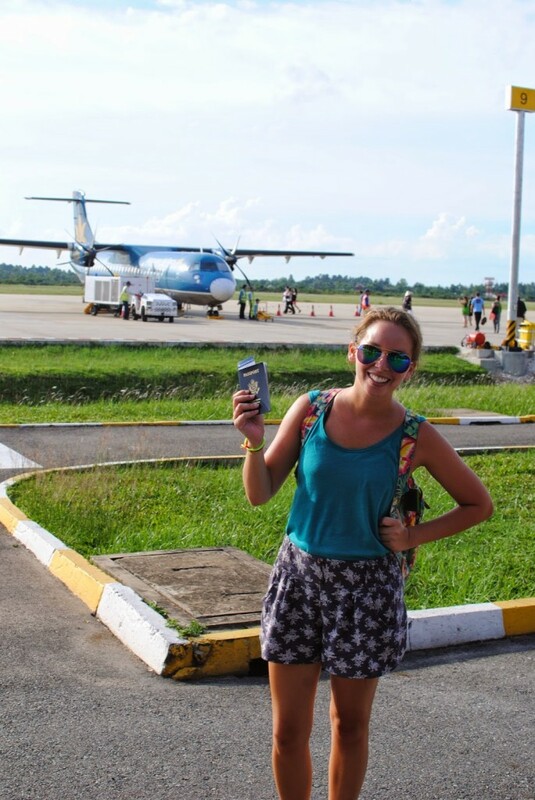 I also have loads of posts detailing my daily adventures in Thailand, Cambodia and Laos.